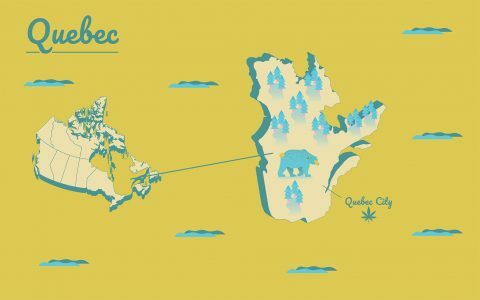 Looking for an open cannabis store in Quebec on Oct. 17, Canada’s Legalization Day? We’re here to help. The Société Québécoise du Cannabis (SQDC) is scheduled to open 15 cannabis stores around the province. As of Oct. 20, 12 locations have been confirmed as open for business. 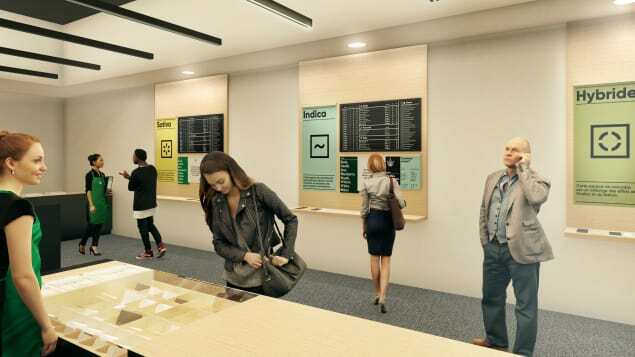 Concept of a Quebec cannabis store, released earlier this year by SQC officials. The SQDC will also offer online sales, though it’s not clear if the online sales portal is working yet. It’s at sqdc ca. 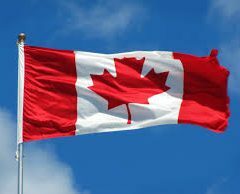 For a full FAQ on the cannabis rules in Quebec, see our page: Legal Cannabis in Quebec: What You Should Know. * The 830 St-Catherine St East store in Montreal is not open. We peeked in on Saturday 10/20 and it looks like it's weeks away from being ready. 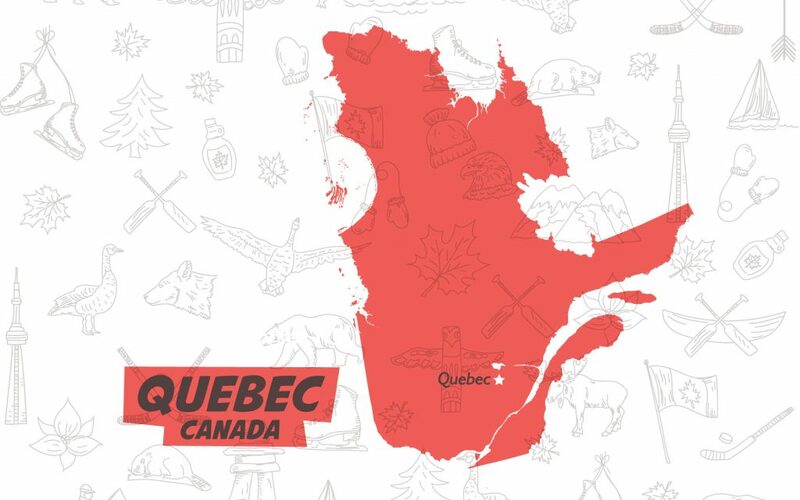 Update: Three of the four SQDC stores in Montreal are open, as of Sunday Oct. 21, with lines that are moving quickly. Mon-Fri: 10 a.m. to 9 p.m.
Sat-Sun: 10 a.m. to 5 p.m.